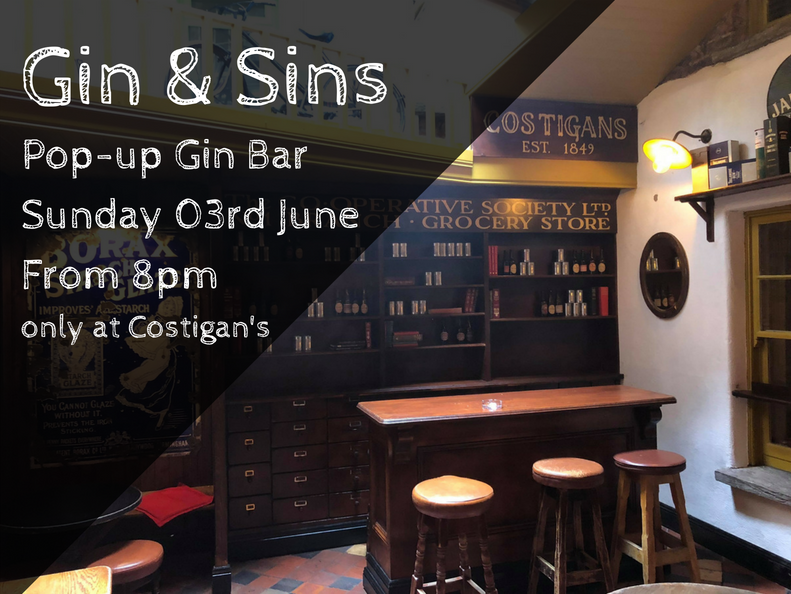 Gin & Sins – Pop-up Gin Bar at Costigans! The Cork City Marathon takes place Sunday, June 03rd, and we’d like to wish the best of luck to all participants! Here at Costigan’s we know what a huge achievement it is to complete the Cork City Marathon, it’s no walk in the park! To show our admiration and to celebrate our newly transformed beer garden we’ll be hosting a pop-up Gin Bar in our iconic outdoor space. We’ll be serving up two incredible gins just for you this coming Sunday – Ha’penny Gin and Míl Gin. Gin & Sins goes outdoors! Our pop-up gin bar will be serving from 8pm in the beer garden so call in early and make the most of the Bank Holiday Weekend. Whether you’re attempting the full marathon, half marathon, or are part of a relay team, call in straight after and show off your medal, you deserve it – we’ll have a special surprise waiting for you to help you re-hydrate! Good Luck from us all at Costi-Gin’s!